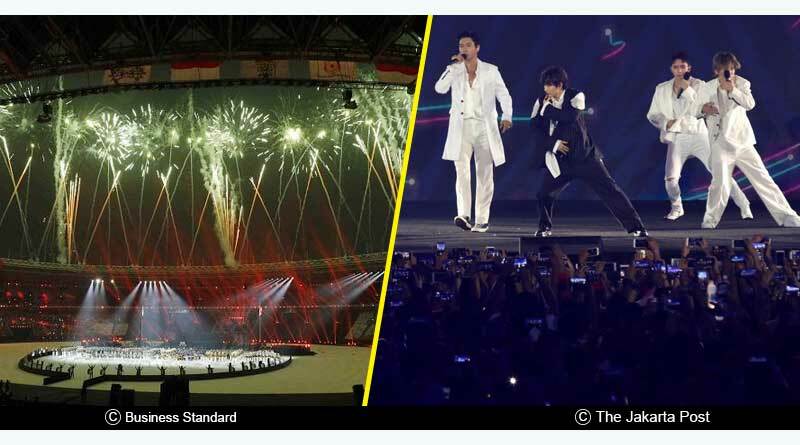 Asian Games Closing Ceremony Highlights- Hosts Indonesia bid adieu to the Asian Games with a dazzling ceremony that befitted the humongous occasion at hand. A rain-soaked evening at the Genora Bung Karno stadium on Sunday witnessed an emotional farewell by Indonesia to the highly successful and enthralling games that had captured millions worldwide over the last two weeks. With the solitary men’s triathlon event on day 15 of the Asian Games coming to an end, the curtain was dropped on this year’s edition of the Asian Games. 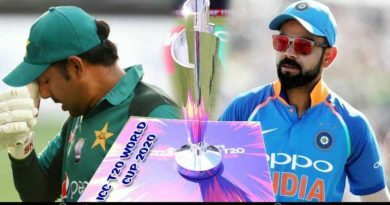 The 18th edition of the games witnessed records being shattered, athletes performing at unbelievable levels and highly competitive matches being contested. 45 nations competed for a shot at glory in Asia’s biggest sporting event, treating us all to high octane and pleasing performances in a plethora of sports that ranged from team events like football, hockey, and volleyball to individual ones like wrestling, shooting and athletics. It was only befitting that the games which had riveted us the past month deserve a grand closing. And Indonesia was more than up to the task of giving us a closing ceremony that will go down as a memorable Asian Games Closing Ceremony. The ceremony was kicked off with each country’s representative leading out their country’s contingent to the main stage. India was led by Rani Rampal, India’s women’s hockey captain to loud cheers from the adoring crowd who were fully aware of the dedication, hard work, grit and effort put in by each member of the 540 members strong contingent at the Games. An incredible showing at Asia’s toughest sporting festival saw India’s athletes rake in a total of 69 medals to register the country’s best performance at the event since its inception. 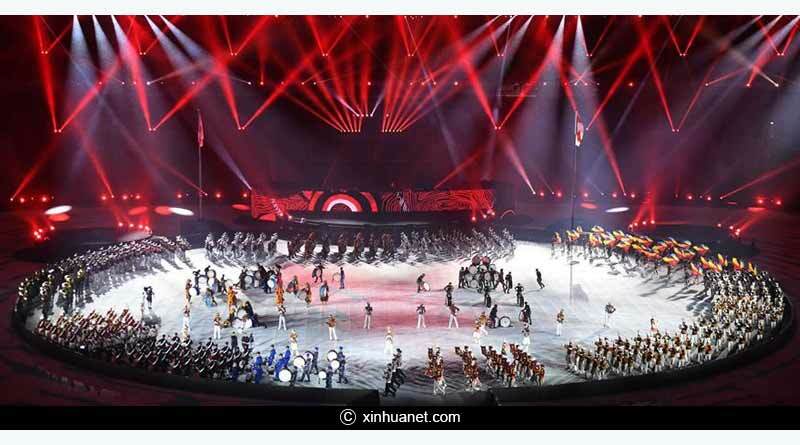 With the athletes completing their march, the ceremony shifted to performances from local and international artists which left not only the jam-packed stadium enthralled but also captivated the millions watching worldwide. Under beautiful lights, colors and fireworks, the President of Indonesia Joko Widodo appeared on the screen and addressed the fans and athletes from Indonesia’s earthquake-affected region Lombok, where a 6.9 magnitude earthquake hit just before the start of the Asian Games, killing almost 100 people. He thanked the athletes, countries, and representatives along with local support staff for making the games such a huge success. The handover ceremony followed with the Indonesian flag coming down and the Chinese flag being hoisted to China’s national anthem to mark them hosting the next Asian Games in 2022. With the official ceremonies completed, the closing ceremony moved to its most glamorous part. Under incredible and mesmerizing fireworks that lit up the sky after every 10 minutes, superstars Super Junior, Siddharth Slathia, Isyana Sarasvati, iKon, Ran, Denada, GIGI, Dira Sugandi performed. India’s flavor made its mark on the ceremony with Siddharth performing hit tracks like Jai Ho and Kuch Kuch Hota Hai in front of an adoring audience who grooved to these tracks. 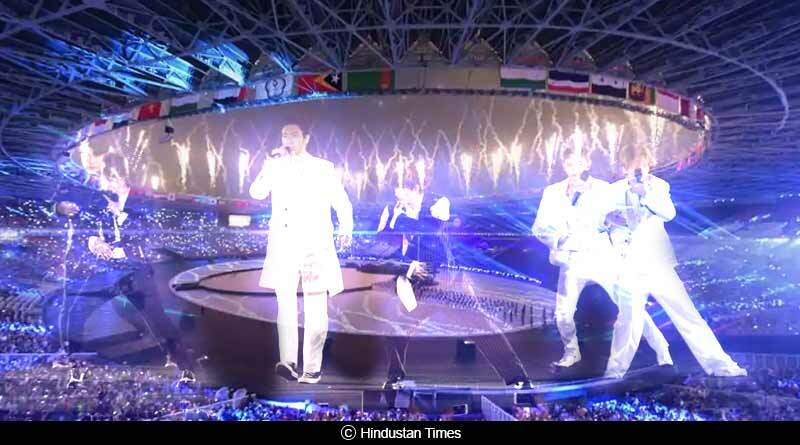 Super Junior performed the closing act of the Asian Games Closing Ceremony with dazzling fireworks bringing an end to the ceremony and games. That’s it from us from this year’s Asian games. We at Tentaran hope you enjoyed our coverage as much as we did bring it to you.